Play For Free!Dive into the Middle Ages and build your own village! How is Germany faring when it come to the digitalization efforts of middle-sized businesses? That question has been discussed in politics and business circles around the country. Depending on the person, party or business, the answer would certainly be roughly the same – the devil is the details. To find out about these details, German business magazine “Impulse” is touring Germany from North to South, interviewing the heads of medium-sized companies. 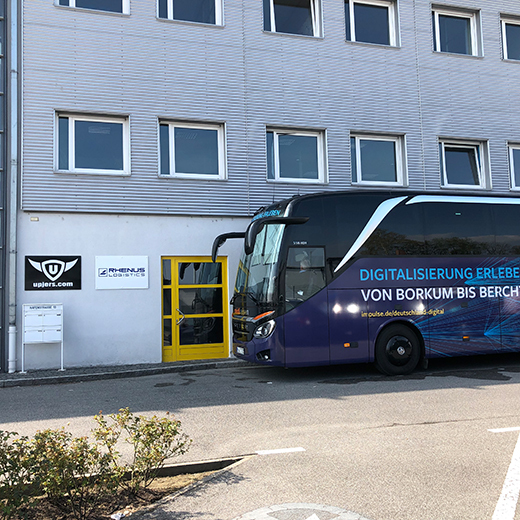 On Thursday the Impulse team came to Bamberg, setting up their cameras and asking upjers’ heads Klaus and Marika Schmitt on their experiences with digital businesses in non-metropolitan Germany. The editorial team of Impulse-Magazin arrived early in a tour bus. While we showed them around our offices, they already started to get some working people on camera. 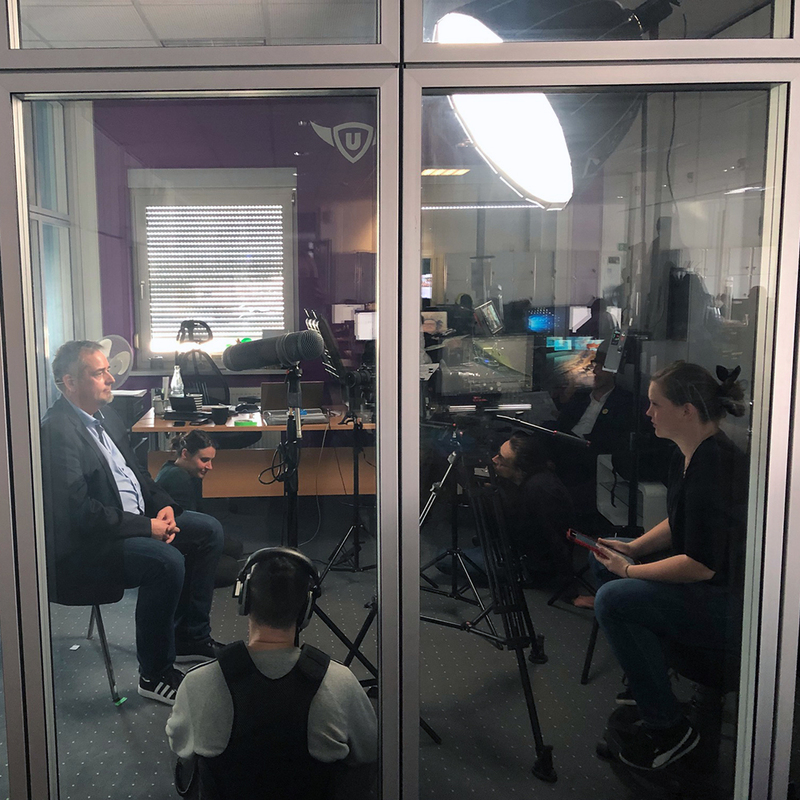 Later on our CEO Klaus Schmitt was giving an interview. His wife Marika Schmitt as part of the management was interviewed as well. 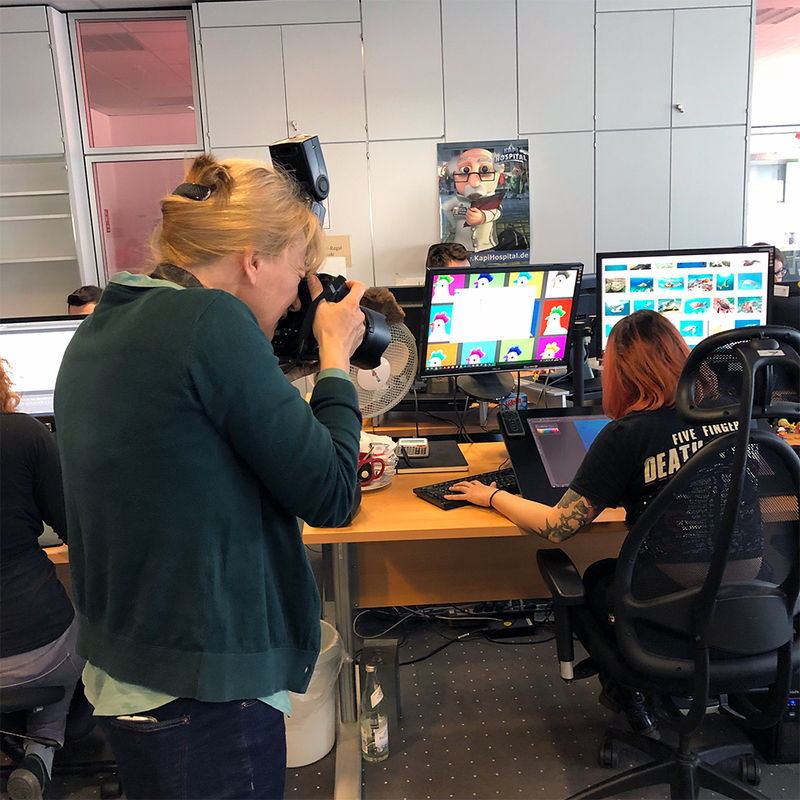 At the same time a photographer took many pictures of our graphics artists, game designers, programmers and the support team. The cutest shot of the day: the upjers management team in front of an ad banner. As a purely digital online company, we are all about “agility”: The competition in the digital market space is tough, so the key to successfully doing business is remaining agile. First off, being agile is not limited on processes within the business processes themselves. Much has to do with the way a company treats their most important assets: their employees. At upjers flexibility is key. Core working hours are from 11am to 1pm, giving employees the opportunity to decide whether to be an early bird or start late and take care of their day-to-day matters in the morning. Similarly one other strength is the ability to negotiate monthly working time. Here as well, upjers lets people decide if they want to work maximum hours or work reduced hours. Being a digital business also means that several internal processes are digital as well. “Agility” is required to adapt to an ever-changing digital market. As a middle-sized business, upjers is able to react very quickly to changing market forces, requirements and demand. 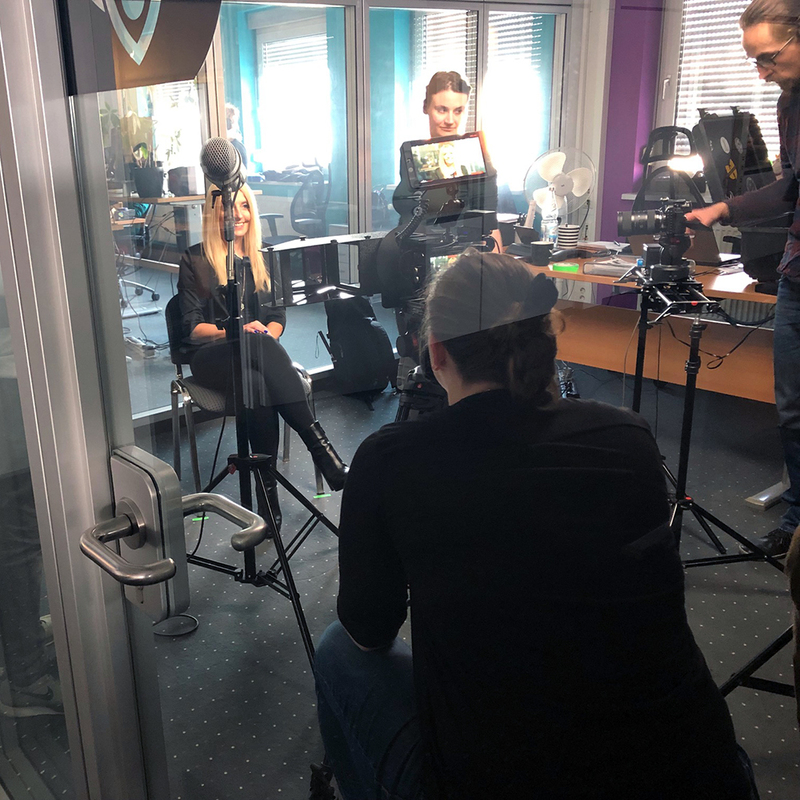 This, paired with the very socially minded working environment, has made upjers a solid player in the German and international gaming industry. More from the interview once the article has published in Juni. A video covering the interview will also be made available by Impulse-Magazin in the coming weeks. Upjers on Facebook – I like it! The official Upjers blog will provide you with breaking news and helpful information for all your favorite games. 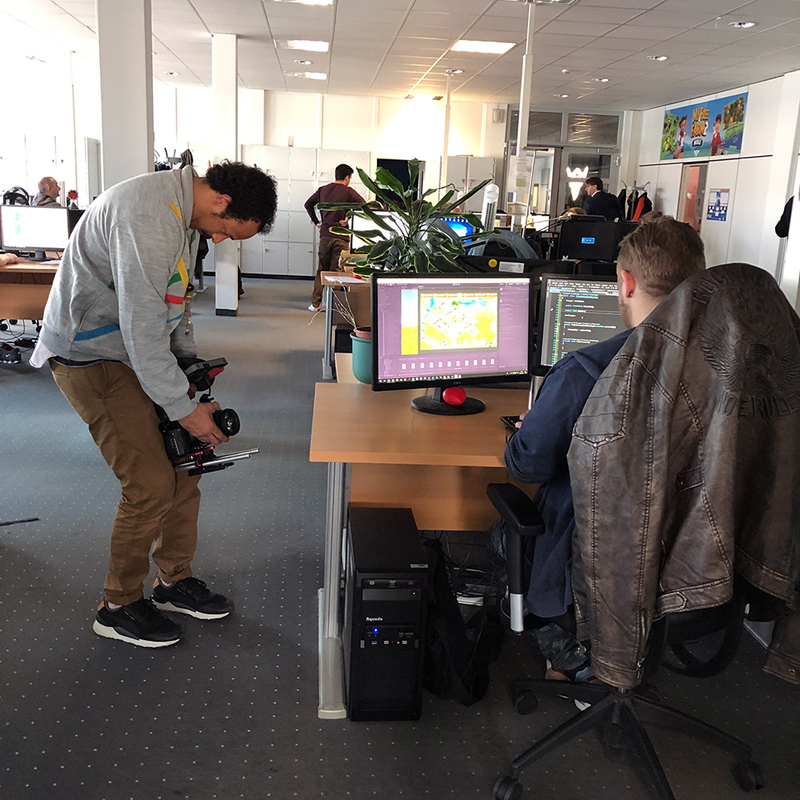 We'll also give you an exclusive behind-the-scenes look at Upjers with exciting stories about everyday life in development and an inside look at the Upjers headquarters. Enjoy!